Pest Control Service Edinburgh. Our Edinburgh Pest Solutions team are waiting to assist you with any Pest Control needs. Situated within Scotland’s capital, Edinburgh, and servicing all of the East of Scotland we deliver a speedy, discrete and affordable range of pest control services. This local branch covers all of Edinburgh, Midlothian, East Lothian, West Lothian, Fife & Perthshire. Visit our Edinburgh Branch at: Pest Solutions 152 Morrison St, Edinburgh, EH3 8EB 0131 526 3220 Pest Control Service Edinburgh. Our local Edinburgh team of technicians & support staff are Pest Control & Pest Bird Control experts and are here to help today. Many years of experience in the pest industry equip our helpful team to be able to respond quickly to get rid of any unwanted pest problems from within your home or business. Services delivered by our Edinburgh branch include: - Domestic Pest Control Service - Commercial Pest Control Service - Pest Bird Control Service - Hygiene Services Edinburgh Based Pest Control Experts No matter what pest you may have an issue or wish to protect your home or business against, Pest Solutions are here to help. 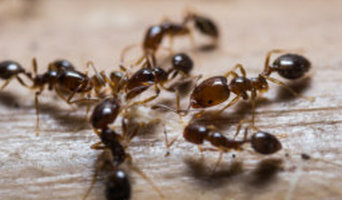 Common pests include Rats, Mice, Ants, Wasps, Cockroaches and Bedbugs. Call today for a FREE survey or to arrange a service visit to solve that pest problem with ease. Our team of Pest Bird Control Specialists are here to deliver the most effective solutions to deter and control bird species that are causing issues on buildings and structures. From Bird Netting and Bird Spikes to more specific Pest Bird Deterrents we can tailor the right system to meet your individual needs. You can choose Pest Solutions with confidence because we are full active members of the British Pest Control Association (BPCA); members of the Confederation of European Pest Associations (CEPA); ISO 9001 & ISO 14001 accredited and hold Safe Contractor approved status. In addition all of our local Pest Control Technicians are full members of the BASIS Prompt professional pest controllers register and are required to achieve the relevant RSPH Level 2 qualifications at minimum. Areas covered by this branch include - Edinburgh, Livingston, Musselburgh, Dalkeith, Prestonpans, Haddington, North Berwick, Dunbar Tranent, Leith, Portobello, Bonnyrigg, Broxburn, Bathgate, Queensferry, Dunfermline, Linlithgow, Kirkcaldy and more. Call 0131 526 3220 today for a FREE survey. Future Komfort is a forward thinking design and consultancy practice that focuses on Passive House and low energy buildings. We are experts in the Passive House Standard and as such we pride ourselves on being a leading Passive House specialist here in the U.K. providing design, consultancy, training and certification services to help our clients implement the Passive House Standard across a range of projects. We are determined to continually improve the performance of both existing and new build buildings across the U.K. whether Passive House, almost Passive, low energy or standard construction we believe we can bring positive input to all projects including, new build domestic or non-domestic, industrial, schools, care homes and retro fit (Or EnerPHit) buildings. Inheriting an old home that hasn’t had much love and attention could require calling in Edinburgh, City of Edinburgh environmental services. Without property maintenance, houses can succumb to damp, mould, woodworm or rot, or if you’re dealing with a home built before the 1980s, you may need to check for asbestos. With the help of Edinburgh, City of Edinburgh environmental services and property maintenance services you’ll be able to remove any dangerous or unwanted materials from your home and restore it to its former glory. Why should I hire Edinburgh, City of Edinburgh environmental services? If not dealt with professionally many household maintenance problems can remain or even become worse. Damp, mould, rot and certainly asbestos are dangerous or unhealthy substances to have in the home, so it’s very important to hire Edinburgh, City of Edinburgh environmental services to remove them for you. You will find that many property maintenance services offer full restoration work after they have removed the damp, mould, woodworm or rot, so you will not have to worry about tidying up after removal. If you have been unfortunate enough to have been a victim of a flood or fire, then environmental services can also help repair and restore fire or water damage. Find specialist restoration companies that work on fire or water damage restoration and once they’re done, no one will be able to tell that your house had previously been damaged. Prevention is always better than cure, so if you’re planning a basement conversion or building in areas susceptible to flooding, high winds or other potential damage, then it’s a good idea to talk to Edinburgh, City of Edinburgh environmental services or specialists first. Damp proofing can be handled by damp specialists and uses the latest materials and technologies to ensure your house is protected from damp and mould. You may want to damp proof a basement or other room while it is being restored or renovated, so it’s a good idea to talk to other specialist property maintenance services or contractors while you arrange your damp proofing. Here are some related professionals and vendors to complement the work of environmental services: Tree Services, Skip Hire & Rubbish Removal, Home Builders, Main Contractors. Can you carry out property maintenance on my property? Do you offer advice for keeping my property in good condition in future? Can you advise me on energy saving and eco-friendly properties as well? Do you carry out asbestos removal? How do you ensure your work is safe? Are you accredited by the OCS Environmental Services? Who will be carrying out the work? When can the work get done and how long do you estimate it to take? Do you offer a guarantee on your work? Find environmental services and property maintenance services on Houzz. Narrow your search in the Professionals section to Edinburgh, City of Edinburgh property maintenance and environmental services to find a list of qualified professionals. Read through professional profiles for information on certifications, experience and services provided.